The emergence of Bitcoin as one of the hottest new investment assets has surprised many who once believed the blockchain-driven cryptocurrency would never have real-world value. It has also generated immense amounts of interest from those who had either never heard of Bitcoin before or who knew relatively little about it. As a result, there are now incredible opportunities for making extra money in the cryptocurrency niche. In the following article, you’ll find out how to make money with Bitcoin and discover a few of the many different ways to capitalize on the cryptocurrency trend and earn Bitcoin in lots of different ways. Remember, keeping your bitcoins or altcoins on your exchange wallets is highly insecure. You should never store then on the exchange for longer than is necessary. 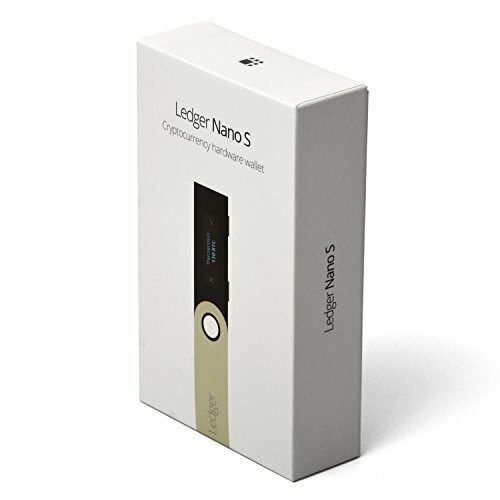 To make your Bitcoins, LiteCoins or any other crypto currency safe, you will need a hardware wallet like the Ledger Nano S or Trezor. Once you purchase your Bitcoin or Altcoins from one of the exchanges that I have listed below, simply move your coins off the exchange and into your own hardware wallet. This is really the only safest way to store digital currency. Before launching into the ways you can earn Bitcoin and make money with Bitcoin, it’s important to take a realistic view of how much money you could make. Though there is certainly a huge amount of money to be made in this market, many of the beginner-friendly ways of earning Bitcoin will only result in small amounts. Don’t get discouraged, though. Even small amounts of Bitcoin can be useful assets, especially given the current rapid growth of the value of the cryptocurrency. If you want to accumulate larger sums of Bitcoin, that’s also entirely possible. It will, however, require an initial investment that may not be easy for you to afford. With that out of the way, let’s begin exploring the different ways in which you can start making money with Bitcoin. #1 – Bitcoin Mining – Number one way of making money with bitcoin. If you want to put together the largest possible amount of Bitcoin, mining is among your best options. 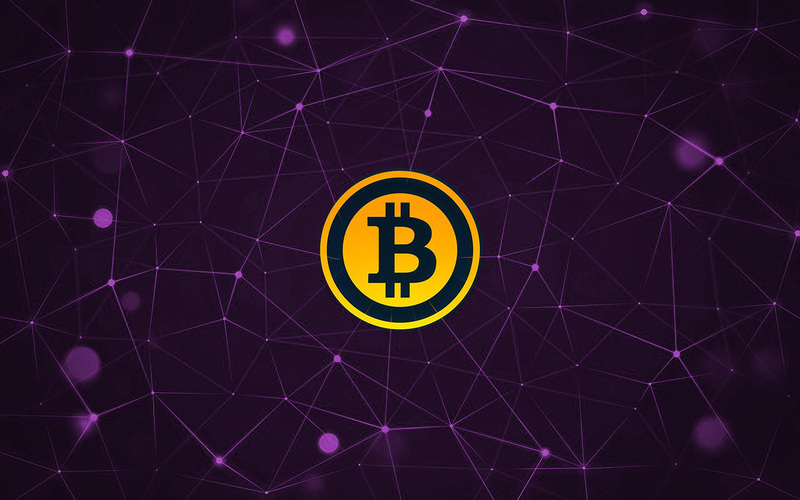 Mining refers to the use of computer hardware to automatically perform a set of mathematical operations, which in turn creates new Bitcoin. The way Bitcoin is set up, only 21 million can ever be produced. 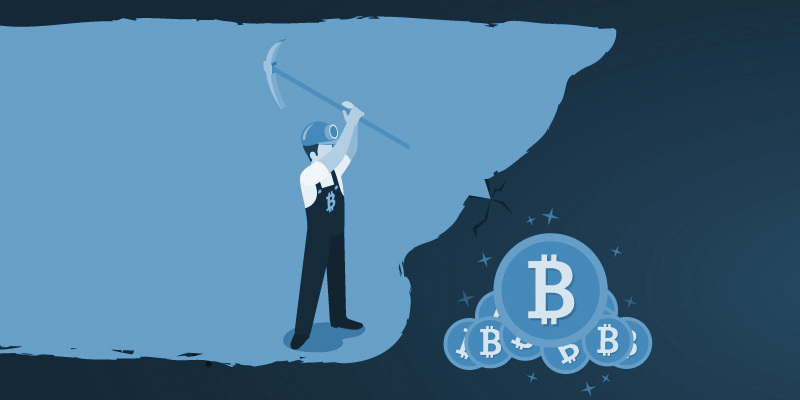 At the time of writing this article, about 16.7 million of these Bitcoins have been successfully mined, leaving more than four million on the table for Bitcoin miners. One thing you will need to know about Bitcoin mining before getting into it is that the difficulty increases over time. In other words, it will take more time and more computing power to generate each subsequent Bitcoin. In the early days of Bitcoin, cryptocurrency enthusiasts were able to use graphics processing units on regular computers for their mining. By now, however, the difficulty has gone up so much that much more specialized equipment is needed. One way to approach Bitcoin mining is to do it yourself. To do this, you’ll need to invest in a Bitcoin miner. Bitcoin miners are external devices that supply the necessary computing power to produce Bitcoin in today’s high-difficulty environment. The price of a Bitcoin miner will vary considerably based on its processing ability. Small USB miners start at under $100, while larger, more powerful mining devices can run into the tens of thousands of dollars. Although the initial investment of buying a Bitcoin miner can be fairly large, it allows you to produce your own steady stream of new Bitcoin until the full 21 million has been reached. If you decide to start mining yourself, be sure to keep the peripheral costs in mind. Not only will you have to pay for whatever equipment you choose to use, but there will also be electricity costs involved. If you have a large miner that produces a substantial amount of heat, you may also have to install a cooling system to keep it running properly. Together, these costs can eat up much of the profit margin in Bitcoin mining. Luckily, if Bitcoin continues to appreciate in value, these peripheral costs will eventually be compensated for retroactively through that appreciation. If you don’t want to go to the initial expense and hassle of setting up your own personal Bitcoin mining operation, you can still get in on the action with what is known as contract mining. In contract mining, you’ll pay a fee in exchange for a company to employ its Bitcoin mining equipment on your behalf. This contract will last for a certain period of time, and all Bitcoin mined during that time on the equipment you’ve contracted will be sent to your Bitcoin wallet. Two of the most major contract mining services are Genesis Mining and Hashing24. Contract mining is an easy and passive way for you to accumulate Bitcoin, though it will cost more over the long run than having your own Bitcoin mining equipment. Though mining lets you earn Bitcoin faster than any other method, its high investment threshold means it won’t be suitable for everyone. If you’re looking for a smaller-scale way to dip your toe into the Bitcoin pool, you may prefer completing micro-tasks that pay in Bitcoin. Micro-tasks are small, simple actions, such as viewing an advertisement or engaging with a post on social media. Though the pay is usually very low, micro-tasks are probably the simplest way to get into Bitcoin. One of the best places to go to get started with micro-tasks that pay in Bitcoin is CoinWorker, a marketplace that specializes in such tasks. CoinWorker tasks are paid in points that are each worth $0.01(USD). Though many tasks on CoinWorker pay as little as $0.03-0.05, some do pay over $1.00. Tasks listed on CoinWorker are typically very easy and take only a few minutes to complete. There are also several sites that will pay you small amounts of Bitcoin for viewing ads. Like other micro-tasks, these actions pay very small amounts of Bitcoin, but are incredibly easy to perform. If you’re trying to earn your first Bitcoin, viewing ads is among the easiest ways to do it. Some of the best sites that allow users to view ads in exchange for Bitcoin include CoinAdder, Ads4BTC and Advercoins. Bitcoin faucets are a bit like micro-tasks in the sense that they pay very small amounts of Bitcoin in exchange for a small amount of your time – often around 1 Satoshi, which is a hundredth of a millionth BTC. In the case of faucets, though, Bitcoin is usually available to be claimed by users at a set interval, such as every five minutes. The idea behind Bitcoin faucets is that their owners sell on-site advertising, which is then viewed by users who come to claim their Bitcoin. Bitcoin faucets pay amounts that are almost too small for many users to bother with, but they’re a good way to break into the world of Bitcoin and start to see a small amount of cryptocurrency in your digital wallet. Moon Bitcoin is one of the most popular of these faucets, but there are many others out there, including FreeBitcoin, Bitcoin Zebra and Daily Free Bits. One of the most interesting developments in Bitcoin over the past couple of years has been its emergence as a fairly popular investment asset. Investing in Bitcoin, though still not as common as putting money into stocks and bonds, is rapidly moving into the financial mainstream. As one might imagine, investment is one of the more lucrative ways of making money with Bitcoin. The most basic form of Bitcoin investment is buying and holding Bitcoin until its price goes up enough to turn a profit. Thanks to its high level of price volatility, Bitcoin has produced some incredible gains for investors who pursued this strategy early on. If you had invested just $500 into Bitcoin when it was worth $1 in early 2011, your investment would be worth more than $9.5 million today. Of course, this is an extreme example, but it does demonstrate just how profitable Bitcoin investment has been for some traders who have been willing to hold their investments for long periods of time. One of the problems that has plagued Bitcoin investment in the past is the lack of reliable exchanges. If you’ve been following Bitcoin for a while, you might remember the surprise collapse of the Mt. Gox exchange that occurred as the result of a massive hack in 2014. With millions of dollars worth of Bitcoin lost, that hack set the mainstream adoption of Bitcoin back by years. Now, though, a new generation of more secure and better-run exchanges are coming onto the market to supply Bitcoin services. The most prominent of these has been Coinbase, which has become the de facto Bitcoin exchange for most new investors, if you are interested in other cryptocurrency exchanges then check out these Coinbase alternatives. A less well-known way of investing in Bitcoin is to trade it as a CFD, or contract for difference. In essence, a CFD is a derivative instrument that is based on the price of an asset, in this case Bitcoin. Unlike standard investment, however, CFDs don’t involve actually buying the asset they mirror. Instead, traders open positions on the movement of an asset’s price with a CFD broker. CFDs typically have high leverage rates, meaning that both gains and losses are higher than they would be in a more traditional investment environment. Used properly, Bitcoin CFDs can be fairly profitable. If you’re too reckless with them, though, they can be high-risk investments. Whether you should personally trade Bitcoin CFDs depends almost entirely on your personal level of risk tolerance. By now, you’ve probably gotten the idea that you can make money with Bitcoin. What you might be more impressed by, though, is the fact that there are ways to make money from Bitcoin without actually owning any. The way to do this is to market profitable Bitcoin-based products and services to the growing audience of people who are interested in the cryptocurrency market. The easiest way to get into being an affiliate marketer for Bitcoin products is to promote Bitcoin mining devices through the Amazon Associates affiliate program. Using this program, you can send visitors from your website to Amazon and receive a small commission on any products they buy there during the next 24 hours. Though Amazon’s selection of Bitcoin mining equipment is a little limited, it should be enough to get you started. You’ll also need a website on which to post your affiliate links. The good news is that, since Bitcoin miners are generally priced at $100+, you don’t need to sell too many of them to start making some decent money from your marketing efforts. The same concept can also be applied to Bitcoin services. Many services surrounding Bitcoin, including the contract mining services discussed earlier in this article, offer generous commissions to marketers who refer customers to them. If you’re going to create a website, integrating promotions for services can be helpful to your readers and profitable to you. As you may already be aware, there is a massive online marketplace for freelance services ranging from writing to website development. Hundreds of sites already exist to connect freelance workers with customers who are willing to pay for their services. A novel twist on this trend has come in the form of a handful of sites that send payments to freelancers in the form of Bitcoin. If you have a useful skill that businesses or other individuals would be willing to pay you for, you may be able to render services in exchange for fairly significant amounts of Bitcoin. Freelancing in exchange for Bitcoin has two advantages that make it one of the best ways to make a serious entry into the cryptocurrency market. The first is that, unlike mining or investing, there is little or no initial cost for most forms of freelance work. The second is that some freelance jobs can pay amounts of Bitcoin worth dozens or even hundreds of dollars, setting it apart from the other free methods that often involve receiving only a few cents worth of Bitcoin at any one time. If you want to earn Bitcoin at a reasonably fast rate without investing a large amount of money at the outset, freelancing is likely your best option. Before jumping into freelancing, give some thought to what kind of service you are going to be selling. Some of the most popular options include writing and proofreading services, graphic design, video production, voiceover work, programming and audio editing. Of course, the services you’ll end up offering will depend on your own interests and skills. Once you’ve decided on the services you intend to sell, you’ll need to sign up for a freelance marketplace that pays in Bitcoin. One option that may be attractive to some is XBT Freelancer. This site offers many high-paying jobs, but most of them are fairly technical in nature and may not be suitable for all freelancers. Cryptogrind, another major marketplace, lets freelancers offer simpler services in exchange for lower prices. If you’ve ever used the traditional freelancing platform Fiverr, Cryptogrind will probably seem familiar to you, as its basic workings are very similar to Fiverr’s. If you know much about making money online, you’ve probably encountered the idea of being paid to place ads on a website. Luckily, the exact same concept works well with Bitcoin. If you want to earn some cryptocurrency passively by creating great content, consider signing up with a Bitcoin-based ad network like BitMedia. These networks will pay you in Bitcoin for click-through actions on ads placed on your website. The more visitors and clicks your content gets, the more Bitcoin you can earn. Though Bitcoin ad networks can theoretically be implemented on any type of site, they’ll be most effective on sites that actually focus on cryptocurrency and technology. This is because most of the advertisers using these services at the moment are in the Bitcoin niche themselves. The good news is that this makes Bitcoin ad networks easy to implement on the same site you use to promote Bitcoin-related affiliate products. This approach gives you the chance to earn Bitcoin and normal dollars at the same time from the same website, diversifying your income stream between the two. Lending out money for interest has always been one of the best ways to generate passive income, and this principle holds very true with digital currencies. Bitcoin lending is a great deal like peer-to-peer lending in that it allows individual lenders to take on the role of a bank or other financial institution. In turn, these lenders then collect the interest as the money they lent out is repaid. To earn Bitcoin through loans, you’ll need to use a lending platform. Bitbond is one of the most popular and trusted platforms at the moment, though there are several others available. Interest rates on Bitcoin loans can be quite high, with some exceeding 10 percent. Before you can get into lending, you’ll need to have some initial Bitcoin to start out with. You can buy it, mine it or earn it using one of the other methods described here. You can also use lending to complement other methods of earning Bitcoin. If you want to make serious amounts of money from lending, though, buying an initial stock of Bitcoin may be a good idea, as it will allow you to fund more loans and receive more interest payments. Remember that, just like any other loan, default is a possibility in Bitcoin lending. Always be sure to carefully consider the person you’re lending to and only fund loans you have a high degree of confidence in. Most of the options you’ve seen on this list so far have been small, simple ways to earn money with Bitcoin that you can do on the side. If you’re really serious about making a living with Bitcoin, though, one of the best ways to do it is to become a developer for the growing number of sites and digital systems that use Bitcoin and other cryptocurrencies. For every new website that decides to accept payment in Bitcoin there is a potential opening for a developer with a specialized knowledge of Blockchain. If you are that person, the opportunities available to you in the coming years could be virtually limitless. Of course, this method of making money with the Bitcoin trend is far from simple. To start with, you’ll need a strong understanding of computer science, mathematics and computer programming. From there, you’ll also need to become knowledgeable in the specialized field of blockchain. Realistically, you should expect to go back to school to earn a computer science degree if you haven’t done so already. With such a high threshold for entry, you may be wondering why becoming a blockchain developer is worth your time. The answer to this question lies in the amount of money that skilled blockchain experts can earn in the current market. The average salary of blockchain developers comes in at about $80,000, while top-level developers can command salaries in excess of $300,000. This large earning potential is also tied to growing demand. 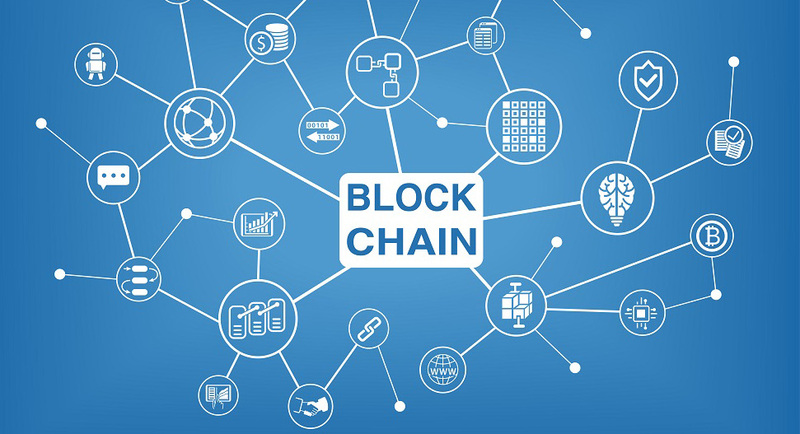 With Bitcoin becoming more and more well-known with each passing day, the number of companies investing in blockchain technology could increase substantially over the next few years. Since blockchain developers are few and far between, this means that the developers who are active in the marketplace can rely on being in very high demand for the foreseeable future. Once you’ve established yourself in the world of Bitcoin, you may decide to share what you’ve learned with others who are less knowledgeable than yourself. Whether it’s Bitcoin investment strategies or how to properly set up a miner, there are people out there who will be extremely interested in learning from your experience. If your content is good and you have valuable information to teach, you can even end up making a decent amount of money form helping other people learn about cryptocurrencies. One way to get into teaching about Bitcoin is to make YouTube videos about it. Though YouTube certainly won’t make you rich, you can monetize videos with Google’s Adsense program to make some ad revenue from them. If your channel becomes a popular source of Bitcoin and cryptocurrency information, this stream of income could even add up to being fairly appreciable. If video content isn’t your strong suit, you can also write articles about the ins and outs of Bitcoin. These articles can be posted on your own site, or guest posted on another website in the Bitcoin niche. 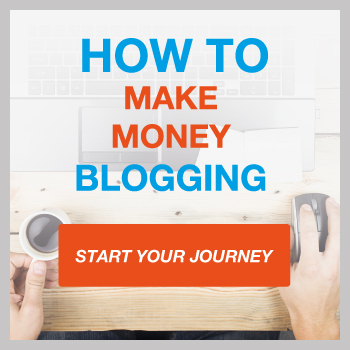 If you create good written content, you can make good money by selling articles to websites that need them. Finally, if you’re feeling really ambitious, you can create a course about some aspect of Bitcoin. Online courses are a great way to make some extra money, but they take quite a bit of time and effort to put together. If you’re going to create a course, your best bet for marketing and selling it is to post it on Udemy, a user-generated course content site. Through Udemy, you can sell your course for whatever price you like and have access to millions of potential students. Whatever you do, make sure that the advice you are offering is valuable enough to make it worth paying for. If you create a sub-par course filled with information that could be found using a simple Google search, you aren’t likely to make much money off of it. What better way to end this review of the different ways to make money with Bitcoin than on the fun note of playing games? Games that pay out in Bitcoin are very similar to faucets in that they pay very small amounts of Bitcoin and generate a profit through advertising. The advantage of Bitcoin games is that they monetize an activity that you may well dedicate time to every day for free. If you are in the habit of playing mobile games, try finding some games that will pay you small increments of Bitcoin to reward you for the time you spend on them. Even if it doesn’t amount to much, it’s still better than playing a game for free. The category of Bitcoin-based gaming also includes digital casinos that use Bitcoin as a currency. Though these may be fun for you if you enjoy gambling, they aren’t a very good way to reliably make money. Like any other casino, the odds will always be in favor of the house. If you’re okay with losing some Bitcoin and just want to have some fun, though, there’s nothing wrong with giving this type of gaming a try. As you can tell, the ways in which you can profit from the rise of Bitcoin are practically limitless. Whether you want to hold cryptocurrency yourself or make money by supplying services and know-how to other Bitcoin enthusiasts, there are opportunities for you in the current market. Best of all, the full potential of Bitcoin is probably far from being realized. As cryptocurrencies start to enter more widespread use as financial instruments and everyday methods of payment, the opportunities to make money with them will only continue to increase. What a helpful guide on Bitcoin for the new people who are just learning about it and wanting to take part on this. I’m not sure what my opinion on bitcoin is, at the moment. Got mixed feelings about it. But I guess I will have to have an experience with this currency before judging. Your tips here are very helpful. Thank you very much for sharing this! Hi, Jamie! As a blogger, writing content about bitcoin is the probably the best way to earn it. Also, working as a freelancer and accepting only bitcoin is another great way. However, this requires that your clients need to have bitcoins and are willing to pay using it. In today’s world, it is rare to find high-paying clients in dollars, let alone in cryptocurrency. But I am of the mindset that if you actually want Bitcoin, you can find a lot of ways to do so, and still, make a big profit.